In an earnings report today, Seattle-based Zillow Group, the operator of listing portals Zillow, Trulia, StreetEasy and RealEstate.com, posted a $3.09 million net loss in the second quarter, down from a $21.8 million loss a year ago. The company posted revenue of $325.2 million in the second quarter, a 22 percent year-over-year increase and in line with the company’s revenue expectations. In emails sent out to agents and others in the industry, Zillow announced that it will be acquiring a brokerage license in Arizona at the request of the Arizona Department of Real Estate in order to be able to continue operating Zillow Offers in that state, but will not be representing homebuyers and sellers. Zillow also took the time to announce its acquisition of Mortgage Lenders of America to fold-in mortgage lending services into its existing Zillow Offers homebuying and selling program, a direct-to-consumer service. As usual, most of the company’s second-quarter revenue came from Premier Agent advertisers. That program pulled in $230.9 million in Q2, up from $213.7 million in Q1 and from $189.7 million in second-quarter 2017 — a 22 percent increase. Zillow Group also reported that traffic to its mobile apps and websites reached an all-time high of more than 188 million unique users in April and visits to those apps and websites rose 14 percent year over year to about 1.9 billion. Overall traffic in the second quarter rose 4 percent year over year to more than 186 million monthly unique users, the company said. 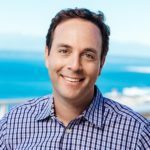 “Zillow Group’s second quarter 2018 year-over-year revenue growth of 22 percent was driven primarily by our Premier Agent, Rentals and New Construction marketplaces,” said Zillow Group CEO Spencer Rascoff in a statement. These results include major second-quarter changes, such as Zillow’s debut as an iBuyer and an update to its Premier Agent program that filters quality buyer and seller leads directly to agents 24/7. They don’t include third-quarter developments, such as Zillow’s launch of tools that allow consumers to apply for rentals and pay rent online or the company’s expansion of Zillow Offers to a fourth city, Denver. The company purchased 19 homes in Phoenix in the second quarter through Zillow Offers. Zillow did not sell any homes last quarter and therefore reported no revenue and a loss of $12.1 million from its Homes segment, which pertains to the company’s direct buying and selling of homes. Since the end of the second quarter, Zillow has sold nine homes, Rascoff said in a quarterly update letter. The company expects to generate between $2 million and $7 million in revenue in its Homes segment in the third quarter and between $20 million and $40 million for full-year 2018 in that segment. The latter is less than the company originally thought Homes would generate, but the company made the change because it now believes its inventory for resale as of December 31, 2018 will be an estimated 300 to 550 homes, down from the estimated 300 to 1,000 homes it originally forecast. The adjustment is due to an increase in the anticipated amount of time from when a homeseller accepts and offer to when the sale closes, according to Rascoff. “With Zillow Offers, these future sellers have the freedom to shop for a new home with the confidence that they can make a competitive offer with no contingencies as soon as they find the right house. Once they find their next home, they sell their current home to us at our pre-arranged price,” he said. Rascoff noted that the company is not currently charging agents for seller leads from Zillow Offers, but planned to monetize the platform in the future. In a call with investors, Rascoff said the company was still trying to find a “sweet spot” in regards to the fee it charges sellers to participate in the program because higher fees mean more profitability but lower scale. “We’re more interested in scale rather than profitability for now,” he said. The company predicts its Premier Agent program will pull in between $237 million and $239 million in Q3 and between $921 million and $927 million in all of 2018. The company’s overall revenue expectations for third-quarter 2018 stand between $337 million and $347 million and between $1.32 billion and $1.35 billion for all of 2018, which is down from last quarter’s full-year forecast of between $1.433 billion and $1.578 billion for 2018. The company did not include forecasts for expected net income or net loss in this report. Zillow Group’s Q2 expenses clocked in at $334.8 million, up from $283.4 million a year earlier. Sales and marketing expenses in the second quarter accounted for 45 percent of revenue at $147.7 million. Technology and development costs were 31 percent of revenue at $100.4 million. General and administrative costs were 19 percent of revenue at $60.6 million. Acquisition-related costs last quarter were $632,000. Other revenue — $41.8 million, up 29 percent year over year (“Other revenue primarily includes revenue generated by new construction and display, as well as revenue from the sale of various other advertising and business software solutions and services and technology solutions for real estate professionals, including dotloop,” the company said). New construction revenue, which rose 61 percent year over year, drove the increase. Rentals revenue — $33.3 million, up 40 percent year over year. Mortgages revenue — $19.3 million, down 8 percent year over year. The company ended the second quarter with 3,541 employees and “cash, cash equivalents, and investments” of $899.6 million. The latter rose to more than $1.5 billion in July after Zillow raised nearly $750 million in a public offering, Rascoff said. Premier Agent revenue made up 71 percent of Zillow Group’s second-quarter revenue, same as in the first quarter. Premier Agent revenue per visit rose 6 percent on an annual basis in the second quarter, also the same as in the first quarter. Of total Premier Agent bookings for the second quarter, 64 percent were sales to existing Premier Agents, down from 70 percent in the first quarter. Total sales to Premier Agents who have been customers for more than one year rose 33 percent year over year in Q2. At the same time, the number of Premier Agent accounts spending more than $5,000 per month grew by 44 percent year-over-year and increased 47 percent on a total dollar basis, the company said. Last quarter, Rascoff said the company anticipated that the integration of its dotloop transaction management tools with its Premier Agent app would be complete by the end of the second quarter. The company expects to begin adding Canadian listings to Zillow in about a month, Rascoff said. The Canadian market is about 12 percent of the size of the U.S., although median home prices are higher. “Throughout 2018, we have been building our industry partnerships in Canada, including with MLSs and leading brokerages,” Rascoff said. In regards to Zillow Offers, Rascoff said Zillow will be the only buyer participating in the program going forward. “We no longer facilitate third-party investors to make offers to home sellers through a marketplace. This will ensure the process is as efficient and seamless as possible for sellers, agents and brokers,” he said. In today’s earnings call, Rascoff objected to Zillow Offers being referred to as a home flipper. Flipping is for desperate sellers, according to Rascoff. “I think it is a gross mischaracterization or misunderstanding to call this a flipping business. … [Zillow Offers] appeals to anybody that values speed, certainty, convenience. That is appealing to a much broader swath of consumers. You can think of it as a service for which we charge a fee. It is not a flipping business,” he said. In regards to how Zillow Offers in combination with the company’s acquisition of Mortgage Lenders of America could generate revenue for the company, Rascoff said, “On a Zillow-owned home, when we’re reselling that to a consumer, we would provide a mortgage origination for a homebuyer of a Zillow-owned home.” He noted that about 400,000 homes sell per month in the United States and if Zillow sells 10,000 of those homes, originates mortgages for 75 percent of them and brings in $9,000 per origination, that would mean more than $800 million per year in revenue. The buying, selling, renting and financing of homes “are all large and expanding markets in which we will now be active participants, not simply a place to advertise. We are shaping the way consumers will buy, sell and rent homes,” Rascoff added.